Eight fantastic European wildlife trips are on special offer exclusively for the members of the Rewilding Europe Travel Club. The fallow deer rut in October is one of the most exciting events of the year at Knepp Wildland – a 3,500 acre privately-owned re-wilding project in south-east England. With the autumn air full of pheromones and the sound of bucks roaring and clashing antlers this is a wonderful opportunity for the wildlife photographer. 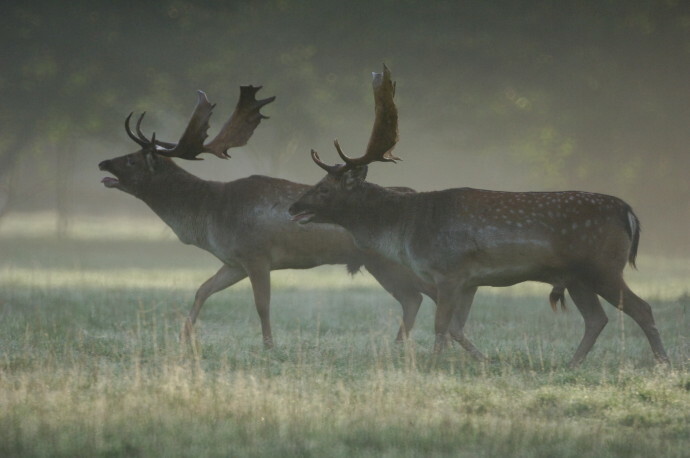 Stay in the Knepp Wildland campsite and take a guided Deer Rut safari to learn more about this dramatic annual phenomenon. These special offers can be booked at a discounted rate within a certain period. The reference code for the discount can be found in the Rewilding Europe Travel Club newsletter which is sent out regularly to all Club members. New members of the Rewilding Europe Travel Club will receive this newsletter automatically, right after they have filled the membership form (https://rewildingeurope.com/travel-club/join-the-travel-club/). For the really lucky ones, we also do membership draws, and the first offer for the upcoming draw of the Travel Clubis already up on the website.Thanks to Knepp Wildland Safaries one of the winners can have a nice holiday in a luxurious furnished tent or hand-crafted shepherd’s hut in the stunning countryside of West Sussex, UK. The draw will take place in December, around Christmas time. Then we draw random names from the whole Travel Club membership and these lucky winners get their experience at no cost for free!